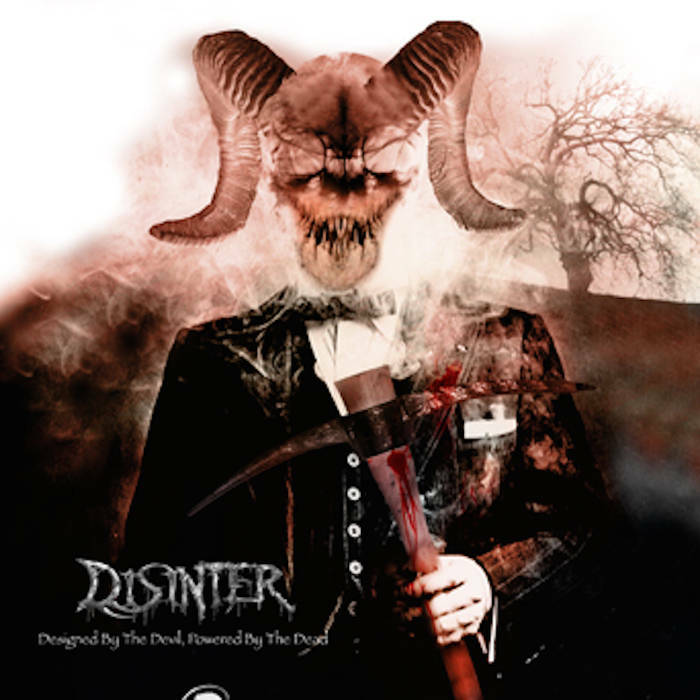 A curious case in which the backstory of the album is almost more interesting than the actual music, Disinter’s fifth full-length, Designed by the Devil, Powered by the Dead, has a release history as mysterious as its title is unnecessarily long. The usually trusty Metal Archives has it listed as a 2006 release (but notes rather curiously that the recording process lasted from 2003-2007…), while we here at The Metal Observer actually received promo copies of the album back in 2006 (which I’m basing this review on). For whatever reason, the album was never officially released and somewhere along the way the band also went into hibernation of sorts, finally resurfacing in 2013 and giving DBTD,PBTD a long overdue official release via their Bandcamp page the following year (where it is sporadically available as a pay-what-you-can download, along with the rest of their discography). Said Bandcamp page has a different track-listing and adds another layer of haziness by providing recording and release dates that differ from those mentioned above (naturally…), but let’s not get too anally retentive about such things. Initially churning out a very set-in-its-ways brand of old school death metal on their first few albums (think Cannibal Corpse, Vader etc), these Chicago natives started incorporating a more pronounced melodic element into their sonic brew on 2001’s Demonic Portraiture and it’s follow-up As We Burn (2004), so it goes without saying that by the time DBTD,PBTD rolled around they had already veered rather far away from their more primitive beginnings. It should be pointed out that although DBTD,PBTD could technically be labelled a melodic death metal release it is still infused with ample intensity and even a vague blackened element (primarily in terms of some of the dual vocal screams and the gloomy vibe that hangs over this whole thing). It’s thus closer in sound and style to what God Dethroned were doing on the Lair of the White Worm/The Toxic Touch albums, as opposed to the usual In Flames/At the Gates sound. I’m certainly not complaining, though, as some of these songs come pretty close to being the perfect synthesis of brutality and melody, particularly on the likes of “Within These Walls” and “Emptiness Embraces Me” (the latter even hints at a triumphant Amon Amarth-esque sound with its rich melodies and galloping rhythmic pulse). These more overt melodic instances are tastefully counterpoised by the no-nonsense opener “Designed by the Devil” (think Deicide, Monstrosity), and “The Prize”* (where steady double-bass, choppy riffs, bursts of groove and the aforementioned blackened vocal approach all combine into something great). Hell, “Eight Legs of Misery” (which may or may not be a reference to spiders/arachnophobia) even tumbles headfirst into proto-doom territory, making DBTD,PBTD hands down the most versatile and -gasp- playful album in the band’s body of work. While As We Burn was perhaps more instantly gratifying, DBTD,PBTD ultimately trumps it simply because of a better balance between all the disparate elements of their sound and the confident manner in which they rip through the songs. It’s not a revolutionary album by any means but it is worlds apart from the bog standard death metal they churned out on 1997’s Desecrated. Here’s hoping they continue to fine-tune their sound (and won’t make us wait another decade before a new album drops). * track is called “The Prize” on my promo copy, “Bound To Its Master” on their MA page, and it has been omitted entirely from the 2014 digital version. 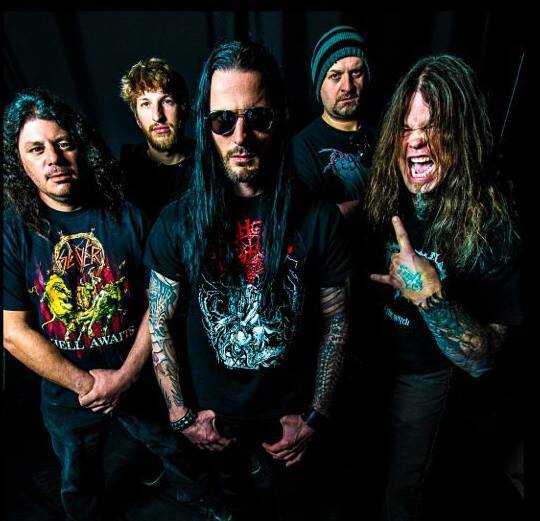 This entry was posted in Reviews, Unsigned Reviews and tagged Amon Amarth, At The Gates, Cannibal Corpse, Death Metal, Deicide, Disinter, God Dethroned, In Flames, melodic death metal, Monstrosity, Vader.